- AVX Corporation is a technology leader in the manufacture of passive electronic components and interconnect products worldwide. The Passive Components segment manufactures a full line of surface mount and leaded ceramic capacitors, radio frequency (RF) thick and thin film components, multi-layer ceramic and tantalum capacitors, film capacitors, ceramic and film power capacitors, super capacitors, EMI filters, thick and thin film packages, varistors, thermistors, inductors, and resistive products. Disclaimer: Our inventory list is frequently updated. However, parts are committed on a first come first serve basis. To ensure that the parts are available, please contact us. IBS Electronics distributes genuine AVX 08051C474KAT2A 08051c474kat2a avx ceramic capacitor 47nf 100v 10%smd 0805 rohs. We currently maintain an inventory with a wide array of components. 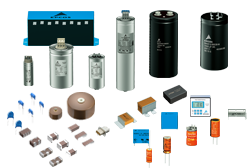 These include ICs, Discrete Components, Capacitors, Resistors, Connectors, Relays, Crystals, Ocillators, Inductors; as well as Mil-Spec, Industrial Grade, Commercial Grade, Hard-to-Find and Obsolete components. We also have the ability and industry connections to source globally. Quality Systems Registrar, TUV USA, certified IBS Electronics to ISO standards. Our systems and compliance to the standards have been, and continue to be, regularly reviewed and tested to maintain continuous conformance. ISO registration gives you assurance that IBS Electronics's systems are accurate, comprehensive and conform to the rigorous requirements of the ISO standard. These requirements ensure IBS Electronics's long-term commitment to continuous improvements. We do our best to ensure correct product data appears on our website. Please refer to the product datasheet/catalog for confirmed specifications from the manufacturer before ordering. If you spot an error, please notify us. © IBS Electronics, Inc 2019.